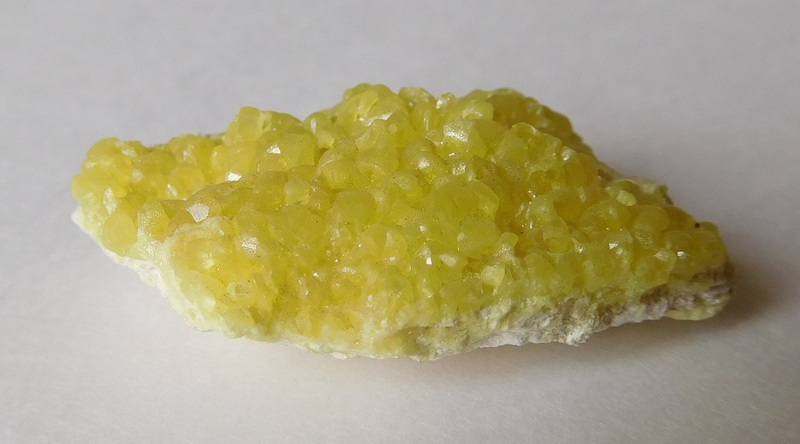 Sulphur from Baja California. Reference image from Wikimedia Commons. Tight global supplies that cannot be quickly increased and strong Chinese demand have risen sulphur prices to about $110 a tonne this quarter, $36 more than what the product cost last quarter, a report by Reuters reveals. But the upward trend is not recent and has created the steepest rise in the last two years. This means that fertilizer makers, such as No. 1 producer Mosaic Co. (NYSE:MOS) and the largest one by capacity Potash Corporation of Saskatchewan (NYSE:POT) (TSE:POT), are paying more for the key ingredient in their diammonium phosphate or phosphorus fertilizer, and are also charging farmers more for the final product. According to the Reuters story, the fertilizer sold at Tampa, Fla., for an average $385 a tonne last week, up 21 per cent year over year. However, as this spike is taking place, crop prices have slumped and, with them, farmers’ buying power went down. This, together with increased competition from new players, has traditional fertilizer makers struggling. And the outlook for 2018 isn’t any better. Interviewed by the news agency, BMO analyst, Joel Jackson, said sulphur prices in the first quarter of 2018 are expected to exceed fourth-quarter prices.